Are you in your 20s, 30s, 40s, 50s or even 60s? It’s time to write out your plan for a successful retirement. It doesn’t matter how much time you have-or don’t-it’s critical that you plan for retirement whether it’s 30 years or 3 years away. 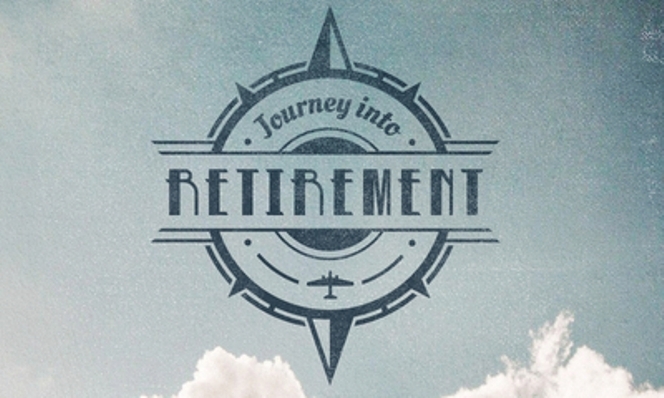 If you don’t have a written retirement plan, you’re not the only one. The majority of middle-income people do not have a written strategy for their post 65+ years. Writing a retirement plan begins at figuring out (an estimation) of what your retirement expenses will be. Core living expenses such as housing, vehicles, health care, and food. Beyond that, account for non-essentials as well as those fantasy cruises or cross-country RV-ing you’ve been dreaming of. Don’t Forget To Adjust for Inflation! Adjusting your estimates for inflation isn’t complicated. Inflation in the United States has averaged out to be 3% a year. Sometimes its lower, sometimes it’s higher. But it tends to average out that way. Use that figure, compound the interest, (here’s a calculator for that) and multiply that plus 1 by your estimated expenses. Don’t dream too big or too small. Try to take a realistic guess at your yearly income between now and retirement. If you don’t plan on making much, you may or may not need to downsize your dreams. But the truth will be that you will need to begin saving and planning—now. Preparing to not work till you are 80 means you need to write down your plan—and do it now. It won’t happen on accident! Don’t be afraid to Start Simple! The first go at written retirement planning doesn’t need to be complex. You’ll one day have to consider how much you are going to save and invest for retirement. Writing it down forces you to make hard choices and decisions, to possibly start saving more and to get help with investing. When you first start writing, take a look at your current expenses. Seeing the cost of your mortgage, insurance, yard maintenance and other items will help flesh out your first run at retirement living costs. Do you need to meet with a broker or planner? You don’t have to meet with a financial planner, although it may be a very good idea if you are less than 15 years away from retirement. You can begin saving on your own of course—people that write down and plan to do so save three times as much money than those that don’t (says the survey detailed in this Market Watch article). A solid planner will give you “forms” to fill out to help you figure out projected expenses and earnings. They’ll also give you educated direction into how to invest and turn your hard earned money into more money. Read more on Getting Courage to Look Ahead and Plan for Retirement. Nice breakout of the steps to start planning to save for retirement. I think that so few do this is because they are overwhelmed – they don’t know where to start and have no idea how much they will really need. Plus, since it’s so far into the future, they just ignore it. By breaking it down into digestible pieces, saving for retirement can be much less overwhelming and even exciting. A timely reminder for me my friend! I’m going to make my plan this evening and post it on my blog tomorrow! At the risk of making things more complicated I think it makes sense to plan out a few different scenarios as you never know what is going to happen. You could have scenario A) what if I moved into a bigger/smaller house in X years. B) What if I had 1/2 kids. Etc… You get the idea. Also you could then work out best and worst case scenarios with how the market and other investments might perform to work out how conservative you want to be with your savings and retirement date. Again this obviously complicates things but it’s better to have an all encompassing plan where you know pretty much every possibilty, rather than just saying, right I will invest X at 7% average return and retire in 15 years… the likelihood of that happening as smoothly as that is slim I think.